ECP 04 (cod. 10004B001) - Pego S.r.l. 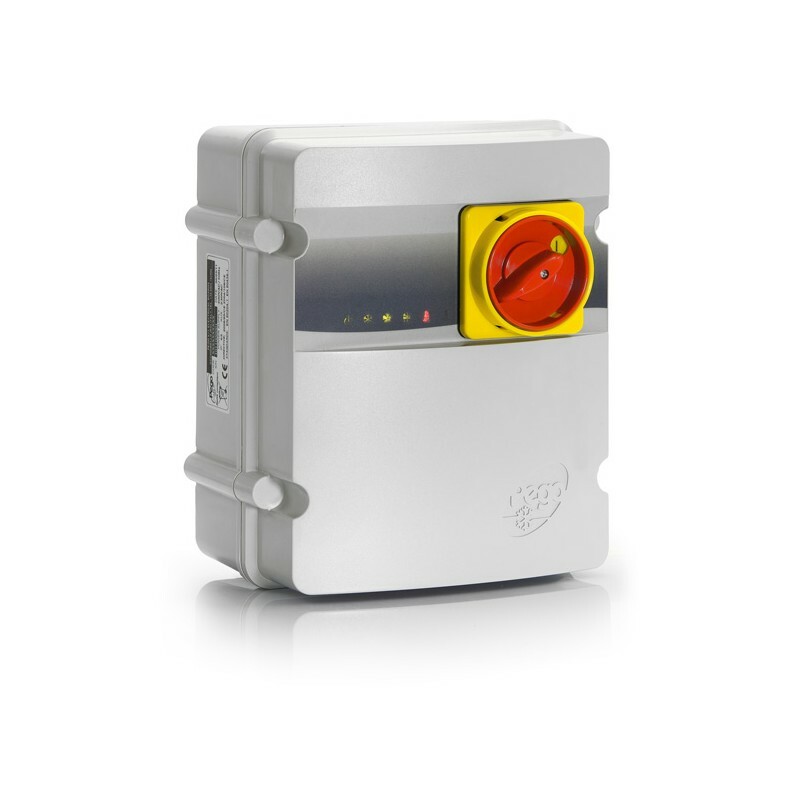 A simple, compact solution for control of three-phase condensing units up to 3 HP. 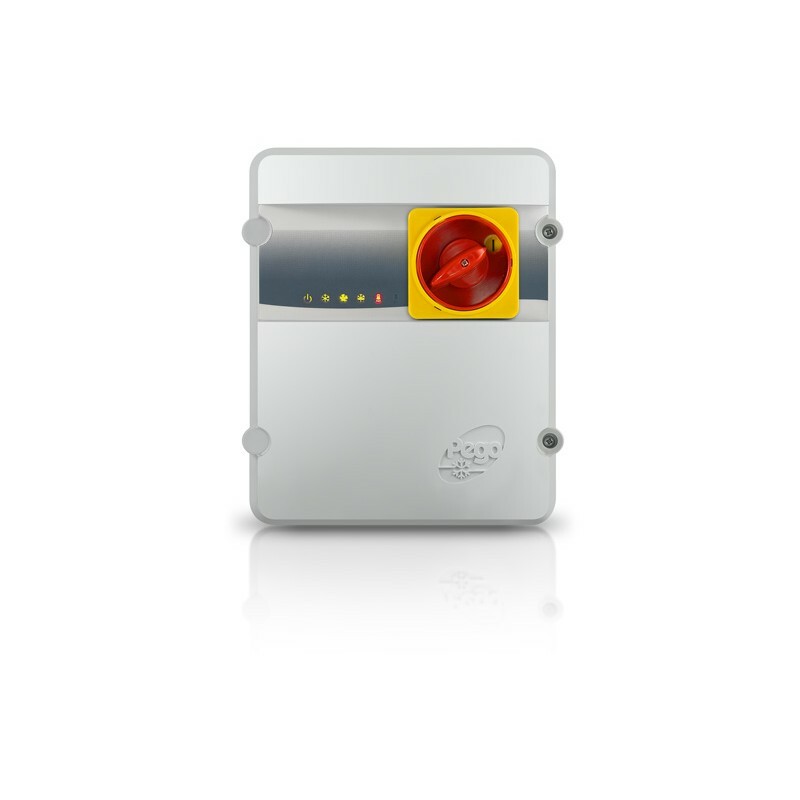 The call can be generated by pressure switch (compressor shutdown in pump-down mode), thermostat or clean contact. 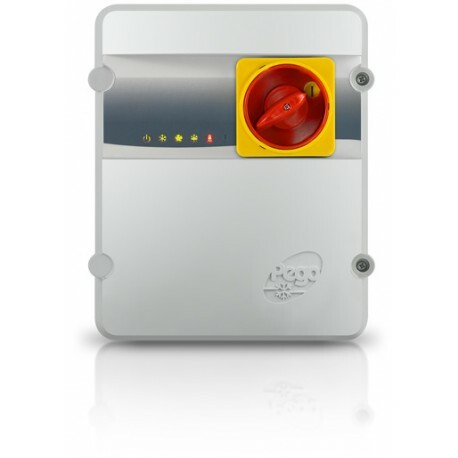 • Direct control of compressor, condenser fans and all standard-compliant electrical safeguards. 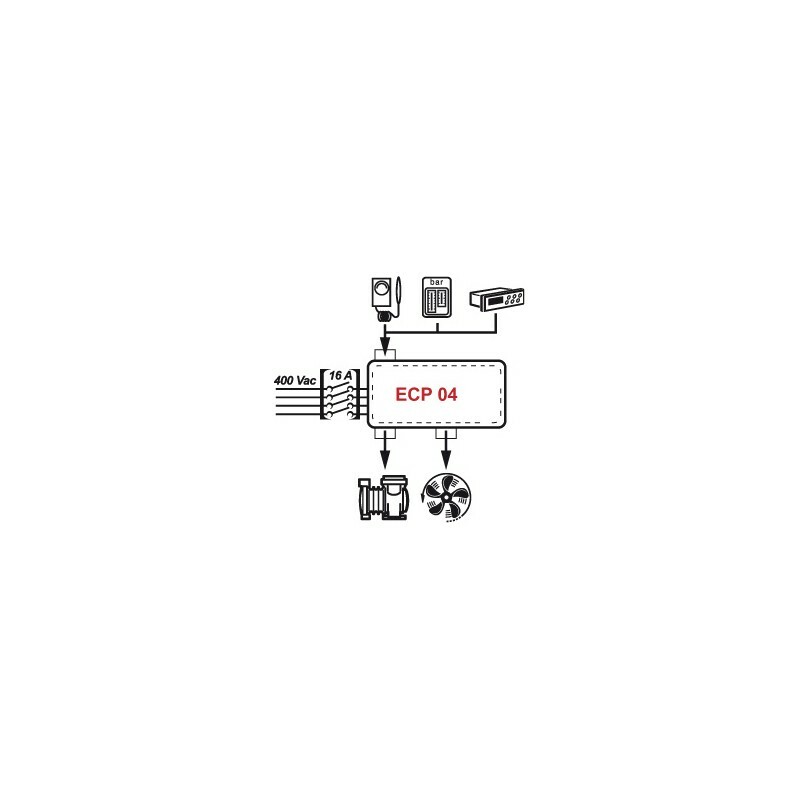 • Compressor call by pressure switch, thermostat or free-voltage contact. 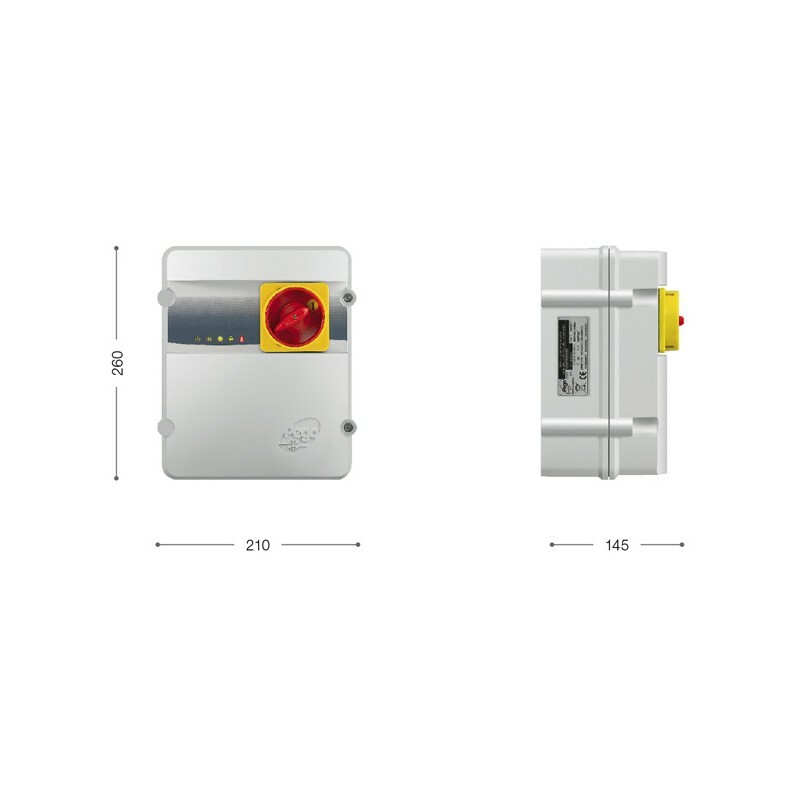 • Compact unit with self-extinguishing ABS panel and IP65 protection rating plus circuit breaker on front of panel.